We are fond of baby corn in my house. Unlike in the past when they were relatively difficult to get, these days neatly packed baby corn is easily available in most departmental stores. You might like to check out the health benefits that baby corn provides. 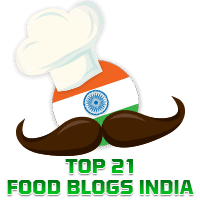 Elsewhere in this blog you will find recipes for Palak Baby Corn Subzi, Crispy Chilli Baby Corn, and Baby Corn Masala Microwaved. Today's recipe for Baby Corn Masala is adapted from Padhu's Kitchen. It tastes great and goes well with rotis and rice. Wash and cut the baby corn into roundels and pressure cook, adding a little salt, in adequate water for 1 whistle. Remove when it cools and keep aside. Boil water and place 2 medium-sized tomatoes after you make criss- cross cuts at the bottom for about 3-4 minutes. Remove and place in cool water. Once they are cool enough to handle drain the water, remove the skin and blend the tomatoes to a smooth puree in a blender. Keep aside. Peel and grind the onion into a smooth paste. Keep aside. Grind the green chillies to a coarse paste. Keep aside. Soak cashewnuts in hot water for about 15 minutes and then grind them to a smooth paste. Keep aside. now add the tomato puree, turmeric powder, coriander powder, chilli powder, garam masala powder and salt to taste. ( Remember you have already added salt when cooking the baby corn that you will soon add).